From the start, we at Portworx sought to solve the data storage needs for the next wave of container-based micro-services. One of our core design principles was to make storage radically easier to use, inspired by the power of the container experience. We then took a distributed approach to storage that is scaled out across commodity x86 servers and purpose-built for containers. On behalf of Portworx, I am excited to announce our upcoming enterprise product, PX-Enterprise. We developed it based on feedback on our PX-Developer from the container community and from initial deployments within enterprises. 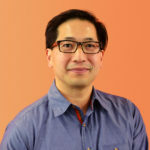 Working with our early customers in online gaming, genomics, and the entertainment industry, we have seen some adopt containers first and then seek a container storage solution, while others tackle storage problems first and then adopt containers. These two perspectives make sense, given that container storage was previously nowhere near as easy to adopt as containers themselves in the application world. Portworx lets you unify these two perspectives. Our PX-Enterprise is distributed storage for enterprises and IT Ops. We built this industry-first purpose-built, enterprise-class container storage to be radically easy to use, run on commodity x86 servers, and be multi-cloud ready from day one. We also designed the user experience to be powerful and visually clean. From a single pane of glass, IT admins can view resource utilization and overall container and storage health. PX-Enterprise aggregates the storage capacity from servers to create a storage fabric. IT administrators have full control over storage that runs on premises or in the cloud. 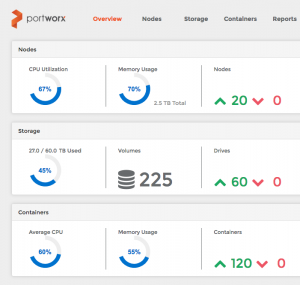 Portworx PX-Enterprise provides a single pane of glass for managing storage for containers. Each storage volume is container granular, prioritizable, and can be made highly available by IT. Volumes are created in seconds through the GUI, the command-line interface, or directly by containers. Users get full visibility into the capacity and the placement of storage volumes. PX-Enterprise provides container granular storage on-prem or in cloud. Being purpose-built for containers, PX-Enterprise also gives IT admins visibility from the perspective of containers. You can track performance and IOPS in real time, per container or label selector. In addition, you can manage application containers using your scheduler of choice. In fact, schedulers can be used to deploy PX-Enterprise, which is itself a container. Of course, part of reinventing storage for containers is providing something new, unexpected, and powerful. We want every container to have its own storage, but sometimes, containers also want to share storage. So we built a unified file storage layer that encompasses both block and file storage. Through a few simple clicks, you can configure a single storage volume with multiple containers that read/write to a single filesystem. As an example, dozens of WordPress containers can now share a single volume, making it much easier to manage and scale storage with containers. Here’s our Portworx philosophy in a nutshell: Storage should install in seconds, scale at bare-metal speeds, and not need special-purpose hardware. 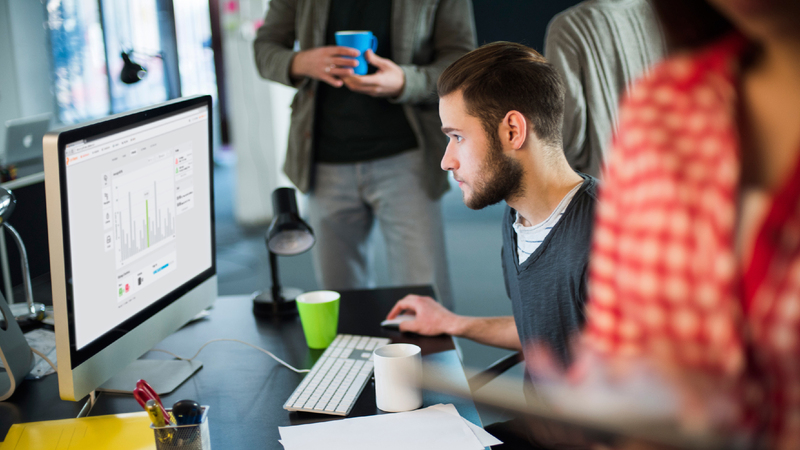 We want IT and DevOps to be able to run any workload—whether it’s containers needing storage or storage that is radically easier to manage—without compromises. Portworx PX-Enterprise is our response to these needs. It will be generally available at the end of July. There is more to share from both our customers and how we at Portworx are building storage for containers, and you can stay on top of all of our updates at our website, LinkedIn, and Twitter. From the team here at Portworx, thanks to all our early adopters and supporters. And if you have a chance, let us know how you’re putting PX-Enterprise to work in your organizations.